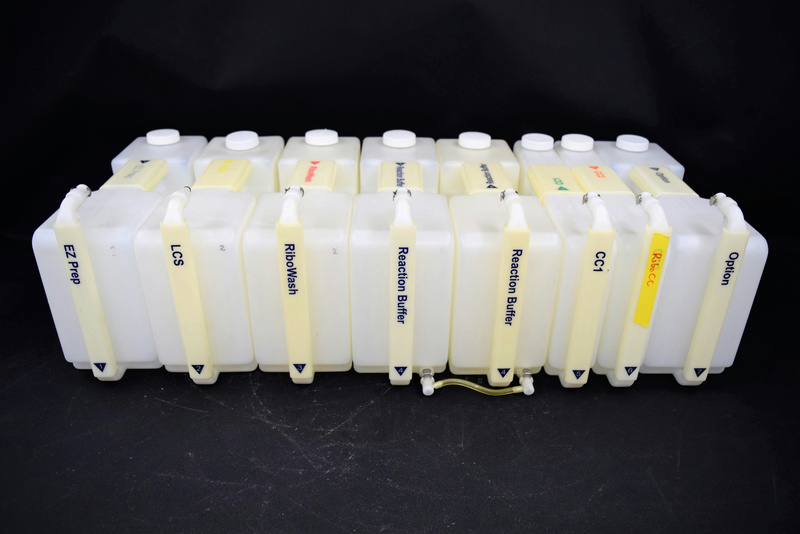 (8 ct.) Bulk Reagent On-Board Containers from 3 to 6 Liters Ventana Discovery XT . New Life Scientific, Inc. These reagent containers were removed from a Ventana 750-701 Discovery XT Automated Slide Stainer. Very little wear or use on them, they are still pretty clean containers as you can see from the pictures. All the containers come with their screw caps. Eight Reagent Containers various sizes with screw caps. Reagent containers have very little wear and are in good condition.